The In Phaze Promise: To provide you, our customer, with the most honest and fair price that you will find anywhere in the Orlando/Central Florida area along with the most knowledgeable, professional and courteous service. It is our goal to become the highest ranked and most reputable electrical service provider in Central Florida by treating our customer’s right. At In Phaze Electric, our number one objective is to make sure that we are your electrician for life. Our priority is to educate all of our electricians and teach them the values and qualities of a good, honest electrician. We operate a unique business model within our team which keeps morale high with focus on honesty, character and professionalism. I challenge one to find a more honest, friendly and customer driven electrical service company in Central Florida. The founder of Solaris Technology has more than 15 years of professional experience working in Orlando in the electrical field, so we have handle any of your electrical needs. Whether you need your entire home rewired or you're just looking for routine maintenance for your electrical system, our electricians will always provide you the best services available. We offer flat fee pricing on all of our commercial and residential electrical service repair work. We also know that our customers are busy, so we always work around your schedule, making sure that all appointments are convenient for you. JTL Electric LLC has provided Central Florida residents & businesses with quality workmanship and friendly customer service. Not only is our service 5 star rated but everyone praises our technicians for their friendly, personable & professional demeanor. We provide electrical services for residential & commercial projects of all sizes. For over half a century, Tri-City has provided a level of personal attention, professional experience, timely performance and genuine value that has become Florida’s construction industry standard for excellence. The company offers unparalleled and award winning expertise in commercial, office buildings, hotels, government, schools, medical, special projects, industrial, multi-family, residential projects and more. Based on sound business practices and management, Tri-City provides vast bonding capacity and human resources for projects of all sizes. Whatever the assignment, Tri-City can handle every project phase from initial design to final warranty. With over 600 field and support staff statewide, Tri-City can handle any project from start to finish, from wire to wire — locally and throughout the State of Florida. At AES we provide quality craftsmanship at exceptional prices because we believe you shouldn't have to sacrifice quality to save money. Give us an opportunity to EARN your business. At Alexander Electrical Services, Inc. we are looking to build a reputation as the BEST. You won't be disappointed, you have nothing to lose, and only your HARD EARNED money to save. Don't risk your safety or the safety of your loved ones or co-workers by choosing an unlicensed electrician. There's a reason they're unlicensed! If you get a better price from another licensed contractor we'll beat it GUARANTEED! 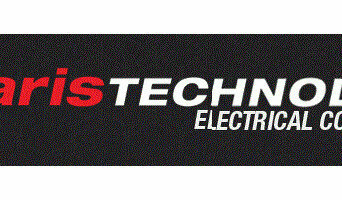 Tech Services is Central Florida's top emergency standby generator dealer and service provider. We offer a full line of GUARDIAN Series power systems by GENERAC - America's #1 selling power systems - as well as installation, maintenance and warranty service of these units. Since Tech Services is Orlando's only GENERAC dealer to maintain an "Elite" status, you can rest assured that you will receive the highest quality of product and service in the area. As a small family owned business and a Generac, Kohler, Briggs and GE Authorized dealer, Accurate Power and Technology of Mount Dora, FL brings you peace of mind with a full line of reliable Generator products backed by world-class service and support. Explore our product selection, then contact us so we can help you select the Backup solution that's just right for you. Emergency power systems that can back up your entire home or business, or just the most essential circuits. Portable power products that let you take your electricity where you need it most, whether it’s a tailgate party or a construction site. We are a family owned Florida electrical contracting business serving in residential, commercial, industrial, communication and data. Since 2010, the professional electricians at Hightower Electric LLC have been serving residential and commercial customers throughout Saint Cloud, Kissimmee, Orlando and the entire Central Florida area. We get it right the first time, delivering the most comprehensive electrical services including installation, upgrade, and repair solutions available. 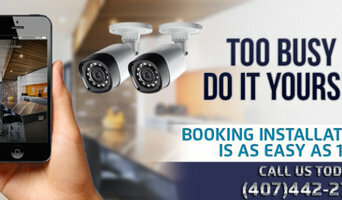 We have 24 hours a day 7 days a week emergency response and is licensed, bonded and insured. Also members of The Saint Cloud Chamber of Commerce and Lake Nona Business Chambers. You can feel confident calling Hightower Electric LLC, knowing that our highly trained electricians will treat you, your family, and your property with the respect and attention to safety you deserve. Whether it’s hanging a ceiling fan, installing a custom-designed landscape lighting system, or rewiring a commercial structure, or other electrical services, you can count on Hightower Electric LLC. This is the latest from Battle Tested Equipment, second generation B.T.E. Standard height gas block with picatinny rail. The use of this block gives you an optics platform that goes from the charging handle to the front of the gas block. We also offer an adjustable option that allows you to adjust the amount of gas entering the chamber of your rifle, turning your over-gassed rifle into a smooth and reliable precision machine. And think about it, the less gas you allow into the chamber the less mess there is to clean up. Adjustable gas blocks are a must for the factory over gassed rifles of today as well as any suppressed fire. Works great in a carbine, mid-length or rifle length application. We are also including a mil-spec roll pin with the purchase of this block. All Phases Electrical is a full-service electrical company, providing dependable and personal service in both residential and commercial clients throughout Orlando and Surrounding Orange, Seminole and Osceola counties. All of our work is guaranteed and specialized. Electricians in Orlando, FL plan, install and repair your home's electrical wiring, circuit boards and electronics. They read blueprints, measure and test electricity and have a thorough understanding of Orlando, FL building codes. While most electricians are known for their work installing power points, or altering switchboards and safety switches, his or her job also includes installing and repairing a variety of fixtures such as ceiling fans, security systems, fire alarms, air conditioners and other visible components of electrical systems. On a construction site, an electrician in Orlando, FL may work closely with project managers and builders to determine the specific electrical needs for your project. Here are some related professionals and vendors to complement the work of electricians: Lighting, Building Project Managers, Solar Power Contractors, Heating & Air Conditioning Contractors. Find an electrical contractor on Houzz. 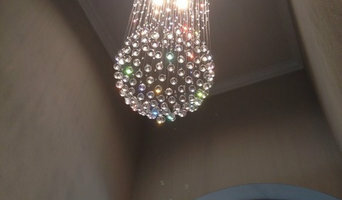 Narrow your search in the Professionals section of the website to Orlando, FL electricians. If you’re planning a large-scale project, you’ll find other professionals on Houzz who can help get the job done, too.